The University of Waterloo's driverless car, called "The Autonomoose," has conducted just one test on public roads. Researchers at the University of Waterloo will spend the next year attempting to improve its autonomous vehicle’s ability to identify pedestrians and predict their path of travel. Human identification is one of the more difficult tasks for a driverless vehicle, said Ross McKenzie, the director of the Waterloo Centre for Automotive Research. “We’ve done some work with pedestrians, and there are significant variations there and challenges,” he said. For example, a group of people looks much different than a solitary person. Sometimes, people are pushing shopping carts, using a walker or walking their bike across the street. “We can identify a pedestrian with a reasonable degree of accuracy, but then these variations of people clustered together or people holding something or walking with something, are the variables we need to teach the software to recognize. Sunday evening, an autonomous Uber vehicle, a Volvo XC90 operating in autonomous mode with an operator behind the wheel, collided with Elaine Herzberg, 49, who was walking her bicycle across a four-lane road in the Phoenix suburb of Tempe. The Uber vehicle traveling at about 65 km/h, police said. Herzberg died of her injuries. Uber immediately stopped all AV pilots on public roads, including one in Toronto. The University of Waterloo has conducted just one test on public roads in Ontario, McKenzie said. That took place in December 2017, when researchers needed snow-covered roads for a specific test. Otherwise, research is conducted on closed courses. Blackberry QNX, a Canadian company which also conducts autonomous vehicle testing in Ontario, but does so on closed courses for safety reasons. 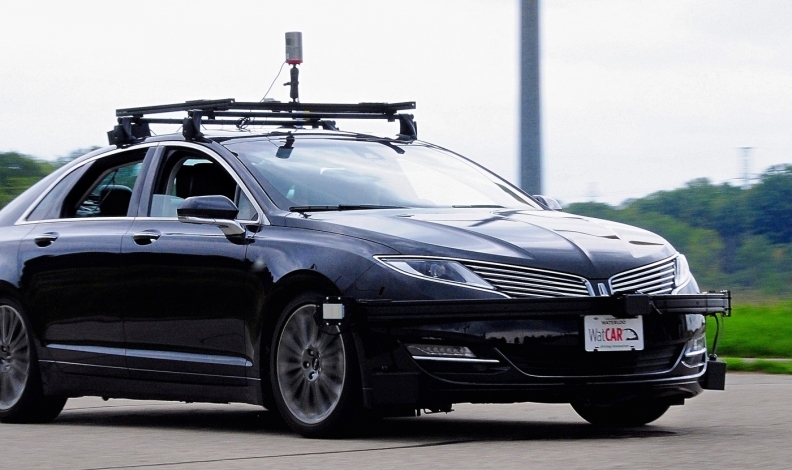 Ontario’s Automated Vehicle Program that allows companies and researchers to test autonomous technology in real-world situations on public roads. A government-issued permit is required. In 2017, suppliers Magna and Continental started an autonomous vehicle test in Detroit. Each drove autonomous vehicles from Detroit to Windsor and then to Sarnia, before crossing back into Michigan. Magna said that “at this time it would premature to comment” about how the incident in Arizona might affect research moving forward. Meanwhile, research at the University of Waterloo will continue, too. “Ultimately, all the work we’re doing is driven by the idea that computer-operated autonomous vehicles will be safer than a human-operated vehicle,” McKenzie said. “With a human-operated vehicle, you can have somebody fall asleep at the wheel; you can have someone leave late and be a little more aggressive behind the wheel. Autonomous vehicles are conservative by nature and do not take chances.